Pure instant messaging — simple, fast, secure, and synced across all your devices. Over 100 million active users in two and a half years. 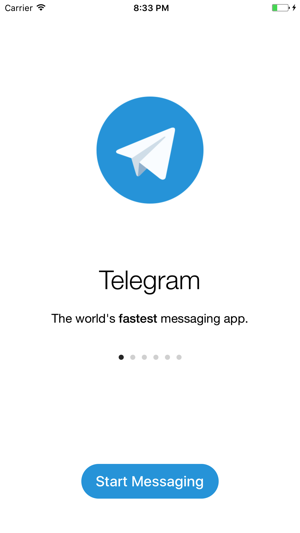 FAST: Telegram is the fastest messaging app on the market, connecting people via a unique, distributed network of data centers around the globe. SYNCED: You can access your messages from all your devices at once. Start typing on your phone and finish the message from your tablet or laptop. Never lose your data again. UNLIMITED: You can send media and files, without any limits on their type and size. Your entire chat history will require no disk space on your device, and will be securely stored in the Telegram cloud for as long as you need it. SECURE: We made it our mission to provide the best security combined with ease of use. Everything on Telegram, including chats, groups, media, etc. is encrypted using a combination of 256-bit symmetric AES encryption, 2048-bit RSA encryption, and Diffie–Hellman secure key exchange. POWERFUL: You can create group chats for up to 200,000 members, share large videos, documents of any type (.DOC, .MP3, .ZIP, etc. ), and even set up bots for specific tasks. It's the perfect tool for hosting online communities and coordinating teamwork. RELIABLE: Built to deliver your messages in the minimum bytes possible, Telegram is the most reliable messaging system ever made. It works even on the weakest mobile connections. FUN: Telegram has powerful photo and video editing tools and an open sticker/GIF platform to cater to all your expressive needs. SIMPLE: While providing an unprecedented array of features, we are taking great care to keep the interface clean. 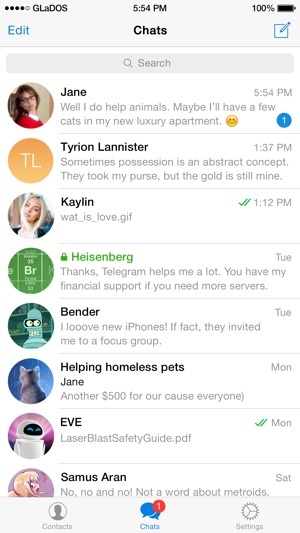 With its minimalist design, Telegram is lean and easy to use. 100% FREE & NO ADS: Telegram is free and will always be free. We are not going to sell ads or introduce subscription fees. PRIVATE: We take your privacy seriously and will never give third parties access to your data. 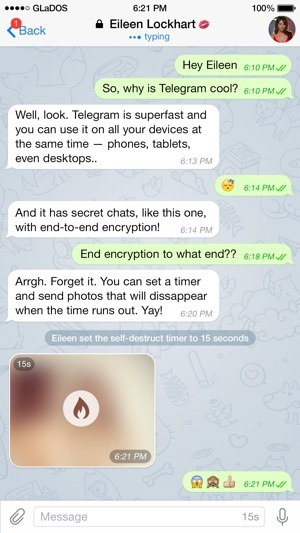 For those interested in maximum privacy, Telegram offers Secret Chats. Secret Chat messages can be programmed to self-destruct automatically from both participating devices. This way you can send all types of disappearing content — messages, photos, videos, and even files. Secret Chats use end-to-end encryption to ensure that a message can only be read by its intended recipient. We keep expanding the boundaries of what you can do with a messaging app. Don’t wait years for older messengers to catch up with Telegram — join the revolution today. 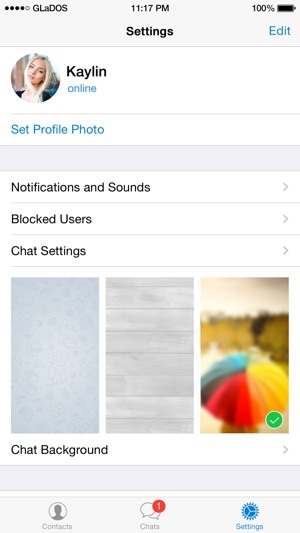 • Delete any message on both ends in any private chat, anytime. • Control whether your messages link back to your account when forwarded. • Control who may see your profile picture. • Watch GIFs and video messages without waiting for them to fully download. • Search for individual stickers using words (based on the relevant emoji), enjoy improved GIF search. • See enlarged emoji in messages containing only emoji. • Use search in Settings to find options and get suggestions from the FAQ. • Choose whether you'd like to sync contacts and receive notifications for all accounts when using multiple accounts. • Rotate the screen to switch to full-screen mode when watching an autoplaying video with sound. • Access the app using VoiceOver. • Enjoy improved call quality. First of all, I love the very easy layout. It makes talking with my friends—and making new friends—so easy. Its phone contact-syncing capabilities are very useful. I also love how many GIFs and sticker sets can be found, and how you can even add your own stickers and GIFs to the Telegram vault. Connection is also rarely lost and chats load fairly quick. However, the one thing that takes me out of the messenger “magic” is how after the last couple of updates, every time I spend more than five minutes in another app (while leaving Telegram open), the chat screen seems to be blank (still shows the circle outlines of people’s icons, and the message bubbles, but all are completely blank) when I switch back to Telegram. This is not a problem for me, as the chat and images immediately load back in when I start using Telegram again, but it’s just a bit strange to me. Maybe a very very small glitch. Amazing messaging app, but needs two more things. This app is top-notch. Like, it’s literally the best messaging app I have ever used on my iPhone to communicate with my friends who use Androids. Before using this application, I had used Google Allo, but I made the switch because Allo is shutting down this coming March. One great feature Allo had that Telegram is lacking is the ability to “like” other people’s messages. It’s a fun, simple way to add small input to the conversation. Additionally, Telegram should have the ability to send small and big text. While holding the blue “send” button after typing a message, we should be able to slide up or down on the screen in order to adjust the size of the text we are sending. This is another awesome feature that Allo implemented really well. Other than those two things, this app really has it all. I hope to see a future update soon where these small features are added! 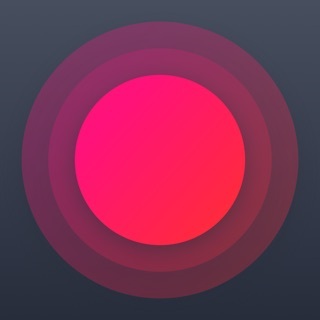 The app itself is amazing and it works incredibly well. I use this more then any other messaging app and even got most of my contacts to use it. Most people know I use Telegram more so they so normally download it just to contact me and end up using the app more regularly. If I could make a suggestion, I would love longer video messaging like add an extra minute or something or cap it at 5 minutes. It doesn’t bother me but it would be nice. Another thing is I don’t know if it’s just me but audio messaging records from the camera microphone, I would love it if the app uses the mic in the bottom ( I use iPhone 6) and honestly that’s my only gripe, I’m writing this review in hopes of reaching out and maybe getting an update that allows the mic in the bottom tone used instead of the camera mic. Also I enjoy the app so why not make a review.